A brown double breasted blazer and a Hugo Boss Pocket Square Italian Cotton Foulard Print Medium Beige? 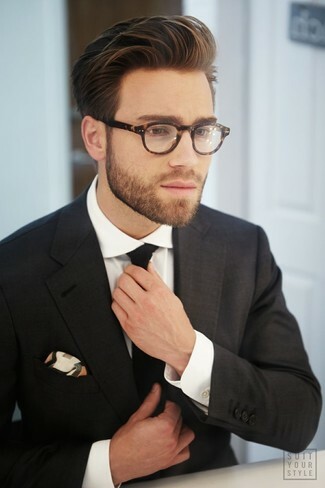 This is an easy-to-achieve look that anyone could rock a version of on a daily basis. 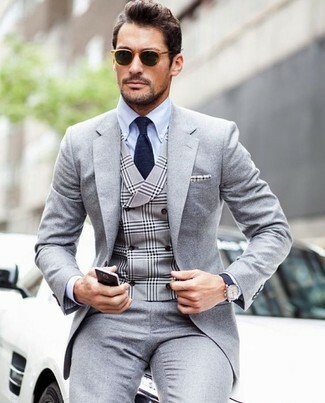 If you're searching for a casual yet stylish ensemble, make a grey suit and a beige print pocket square your outfit choice. Both items are totally comfortable and will look great paired together. 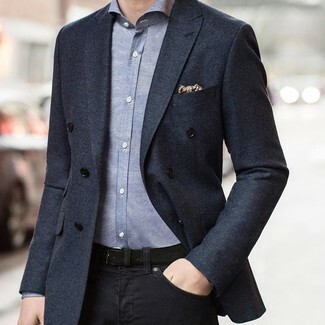 If you're after a casual yet stylish outfit, choose a charcoal double breasted blazer and a Hugo Boss pocket square italian cotton foulard print medium beige. Both garments are totally comfortable and will look great together. 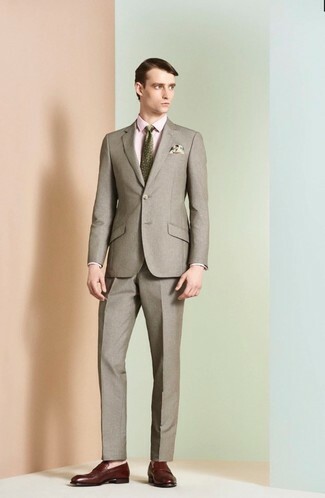 We all want comfort when it comes to dressing up, and this combination of a grey wool blazer and a Hugo Boss pocket square italian cotton foulard print medium beige is a practical illustration of that. And if you want to instantly bump up the style of your look with one piece, add dark brown leather loafers to the equation. 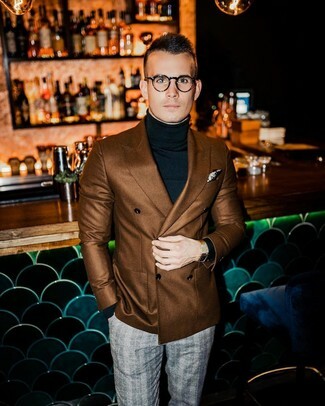 For an outfit that provides comfort and stylishness, dress in a brown suit and a Hugo Boss pocket square italian cotton foulard print medium beige. 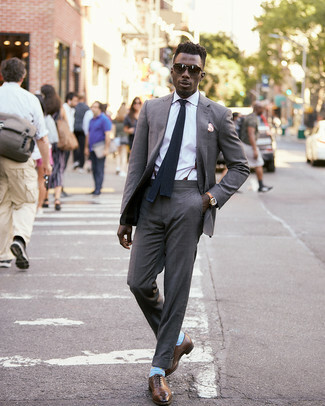 Rocking a pair of burgundy leather loafers is a simple way to add extra flair to your getup. 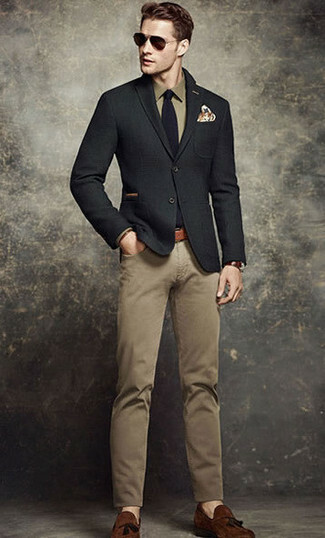 If you're looking for a casual yet sharp ensemble, team a black suit with a beige print pocket square. Both pieces are totally comfortable and will look great paired together. 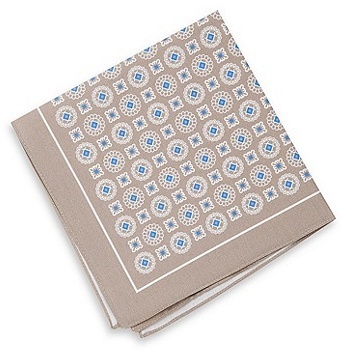 If you're hunting for a casual yet dapper getup, pair a grey suit with a Hugo Boss beige print pocket square. These pieces are super comfy and they will also look amazing when paired together. Bring instant interest and excitement to your ensemble with brown leather oxford shoes. Dress in a black wool blazer and a Hugo Boss pocket square italian cotton foulard print medium beige if you're looking for an outfit idea for when you want to look casually cool. Amp up the cool of your getup by rounding it off with brown suede tassel loafers. 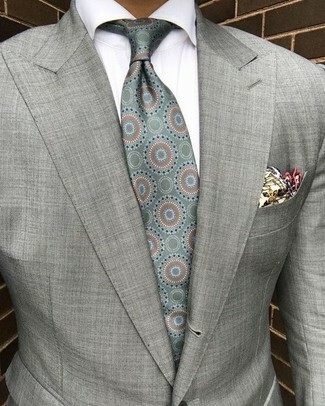 If you're a fan of functionality dressing when it comes to fashion, you'll love this simple combination of a grey blazer and a Hugo Boss pocket square italian cotton foulard print medium beige.